As a real estate agent, you know home inspections are important but often misunderstood by home buyers and sellers. Its goal is to assess the main structure and components of the home. A thorough and fair inspection benefits both parties. Sellers learn more about their home and buyers may be able to negotiate a deal (more on these points below). However, most people don’t know what to expect during a home inspection and just how relevant it is to each party. Educating both the buyer and seller on the relevance of the home inspection process creates happier customers (and more referrals) because each party will have realistic expectations. Here is a quick refresher guide to help conversations around home inspections with your buyers and sellers. In rare instances, some inspections do result in discovering a roof that is on its last leg or a problem with the foundation. Although this is a rare occurrence and not the typical situation, it can happen. If the inspector should discover either of these problems, it is a potential money-saver for the buyer. The buyer could negotiate a lower price based on the amount it will cost to replace or repair the roof or foundation issues. Where the water shut off valves are located, which will be quite important when the weather turns cold. Where the hot water tank is situated. What type of HVAC system is installed and how old the equipment is. What kind of siding is on the house. Does the home have asphalt, slate, metal, or cedar shingles on the roof? When buyers understand more about the different structures of the home, it gives them an idea of the lifespan of the various components as well as the necessary maintenance. Inspections are often used as a tool to negotiate the price of the home. This is all part of the game and shouldn’t be considered a negative. Sellers are going to be happy to sell their home even if they have to reduce it a little bit due to an unforeseen problem, and buyers who discover an issue may feel they have to pay less out of pocket now. In addition, some people may want the seller to correct the problem before making a purchase. For them, it’s not worth a reduction in price. One thing to keep in mind is that most houses have some problem or another. Even many new homes have issues at times. So, obviously, a 50-year old home isn’t going to be perfect. However, it’s not a reason to stress out. Whatever the problems are, they usually can be corrected. Most times, the solution is just a few steps away. Taking a bit of time for research and contacting the right contractors is all that’s needed to solve any problems from a home inspection. Understanding just how a home inspection works can alleviate much of the surprise or anxiety some people experience. In the end, inspectors help educate both buyers and sellers and provide them with tools to make the fairest deal. Finding a trustworthy inspector is the first step in ensuring an inspection is handled properly and fairly. 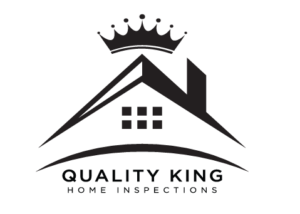 Contact Quality King Home Inspections today for more details about how we can help guide your clients and make them feel great about this part of the transaction.